Another double points finish for Force India while Red Bull fought back brilliantly after their grid penalties. 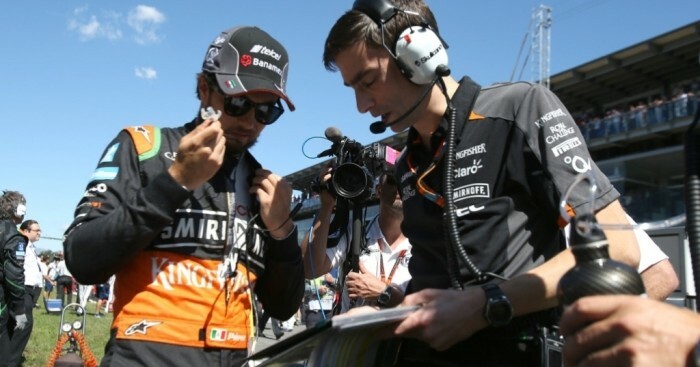 Sergio Perez: "I had a really enjoyable time today. I had very strong pace from the beginning to the end; I managed the tyre degradation well and I feel we got the maximum that was possible from the race. The first stint was fairly calm: I found myself in clean air and I managed to open a gap over the cars behind so I wasn’t under any pressure. After my pit stop, I knew Kimi was closing in behind me: he was really quick and there was nothing I could do to keep him behind any longer than I did. I am very pleased with our performance over the whole weekend and the team really deserves these points. Today's result is important because it moves us back to fifth in the championship with a nice gap over our rivals. We did a good job and we deserve this result." Nico Hulkenberg: "Seventh place brings some useful points, but I finished the race feeling a little bit frustrated because we didn’t have the pace we know is possible. I actually think we had a problem with the car and it’s something we need to investigate because I was losing downforce, the car was sliding and the rear tyres were heating up too much, all of which really hurt my pace. The second half of the race was quite difficult defending against Ericsson and that’s when we were considering changing to a two-stop strategy because I was struggling so much with the tyres. In the end we decided against it and I was able to hang on to seventh place for some important points." Daniel Ricciardo: "It was a great result for the team considering where we started and the characteristics of this track. It was sweet taking that eighth place on the last lap from Ericsson. I am very happy with the chassis, the car was handling really well, and we were able to fight with a Ferrari and a Mercedes-powered car on a track where we lost out a lot on the straights. It wasn’t an easy weekend for us, but I think the race was positive and the energy in the team is good. I will probably celebrate with one more pizza." Daniil Kvyat: "Monza was always going to be a tough weekend for us. Our race wasn’t too bad considering where we started on the track, because of our penalties. I didn’t see much action during the race but it was a positive result to finish in the points, down to good teamwork. We’ll have to come back stronger in Singapore, where the track characteristics should suit us better." Marcus Ericsson: "I was pleased with my start and first lap. We were expecting to fight against our direct competitors here in Monza. Throughout the race I had a good pace, therefore, I was able to pressure Nico (Hülkenberg) for the whole race distance. Surely it was one of the strongest races so far this year. Obviously it is frustrating having lost a position in the very last corner on the last lap. I pushed my tyres a bit too much trying to overtake Nico (Hülkenberg), so then I was not able to defend against Daniel (Ricciardo). A bitter sweet ending to a strong race." Felipe Nasr: "I had a great start, and was in the top ten after gaining some positions. After the first chicane I felt I had a puncture on the right rear tyre, so I had to make an early pit stop. It was clear that my race was comprosised from that moment on. It is unfortunate, as the car was competitive enough to finish the race in the points. I tried my best today. It is great that as a team we were able to score points with Marcus. Now I look forward to the Singapore Grand Prix."